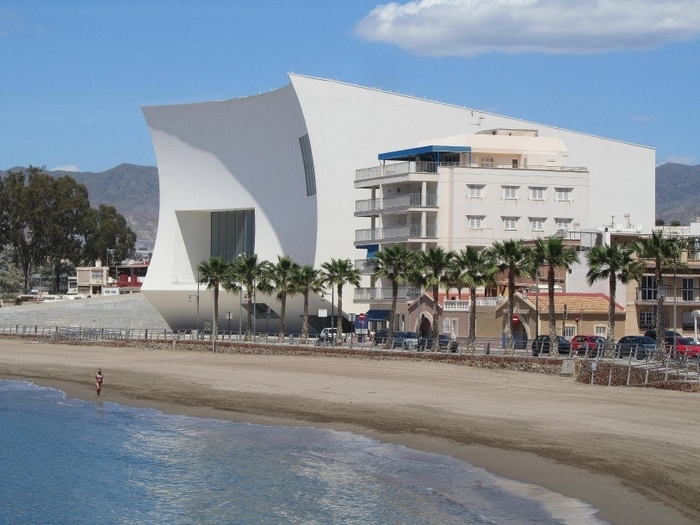 This elegantly sculpted and strikingly curvaceous Auditorium and Congress centre was inaugurated in March 2011 and is situated opposite the Playa de las Delicias. 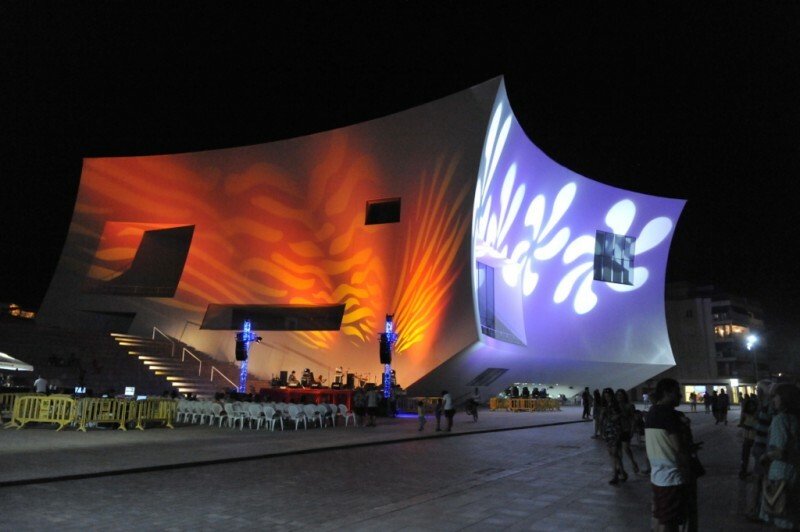 Its construction gives the town, which has around 40,000 inhabitants a state of the art facility in which to host a wide range of cultural activities and events with auditorium and exhibition facilities, as well as an extensive outdoor space used for outdoor concerts and public events. The auditorium also has a complete congress centre equipped to host conferences, congresses, business functions, fairs, exhibitions, public acts, and entertainment. 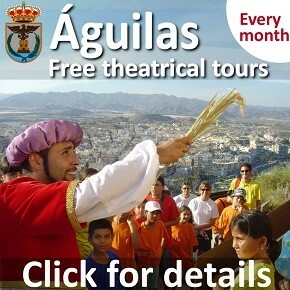 For further information about the auditorium, contact the Tourist Office in Águilas, Telephone 968 493173. 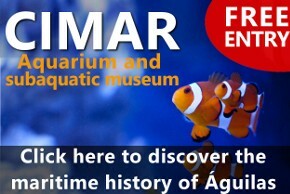 Archaeological Museum: On some occasions tickets are sold by the municipal archaeological museum, Telephone:968 49 32 87. This will be clearly indicated on individual event information. 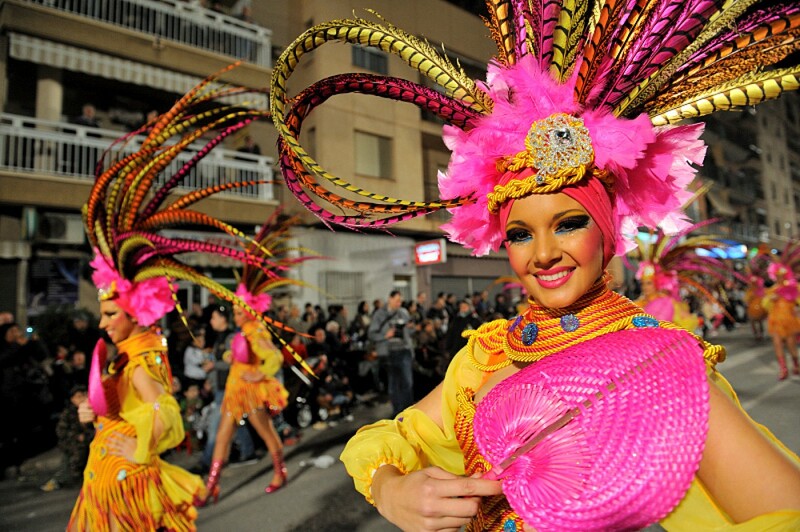 Some tickets are also sold in the Casa de Cultura. Box Office: The theatre box office is open two hours before each performance for ticket sales on the day of the specific event. Sala de Exposiciones Temporales, temporary exhibition room : From Tuesday to Sunday between 19:00 and 22:00.